This birthday girl is a true food expert. When I say expert, I mean, she is a trained chef who works at the network everybody knows and makes these shows happen! She chose where to have the birthday dinner, without knowing where she chose, I was already getting psyched! 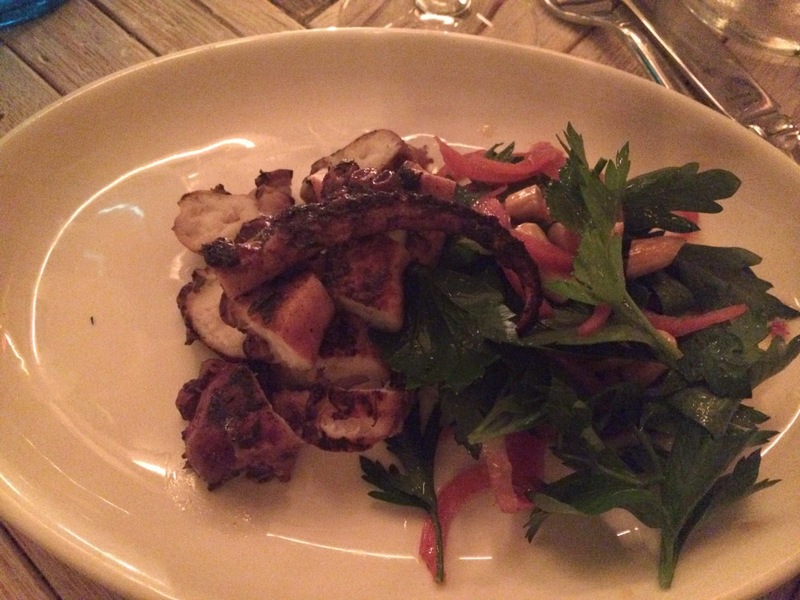 I had grilled octopus to start with which was fabulous. Nice and tender, dressed perfectly. Birthday girl ordered radish and bacon over toast. She said it was very good. Now, here's the funny part. What her husband ordered. 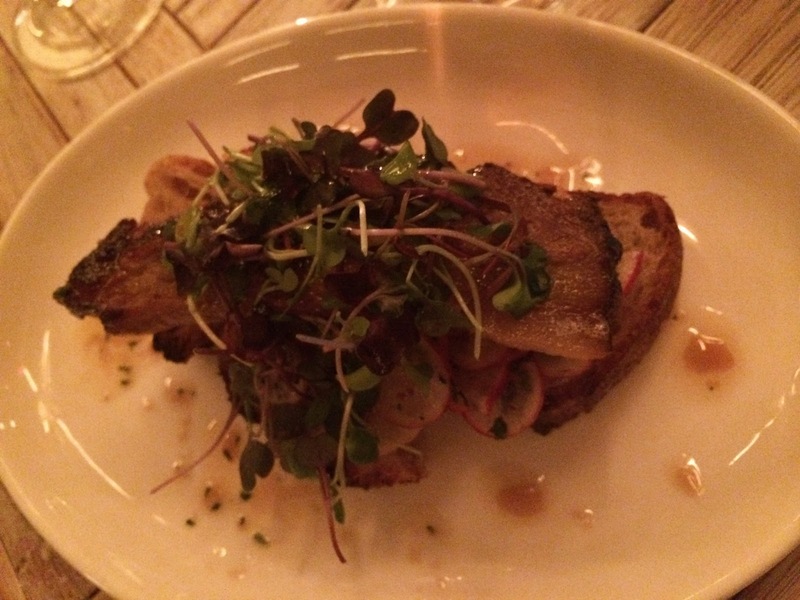 Foie gras jammer. A single bite. The look on his face was priceless. Salad my husband ordered. They're both way over 6' tall, big guys. 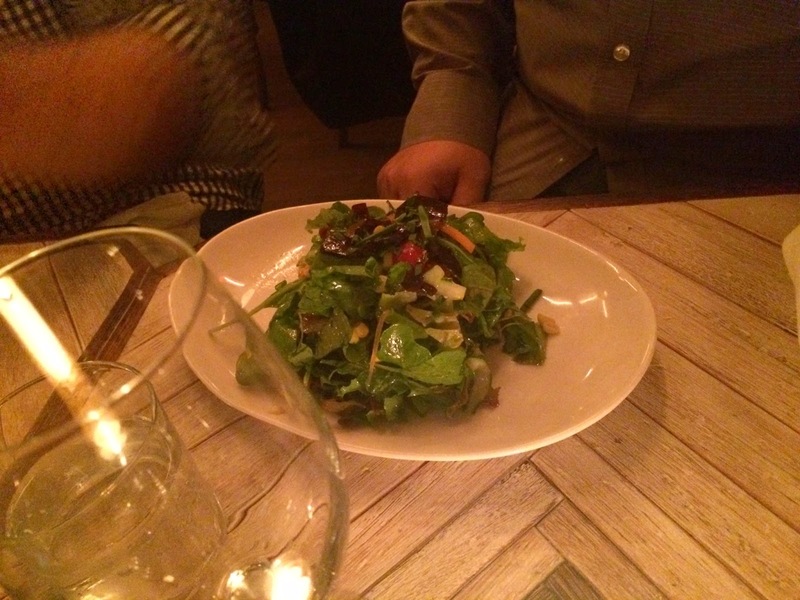 Okay, salad portion is pretty much normal. 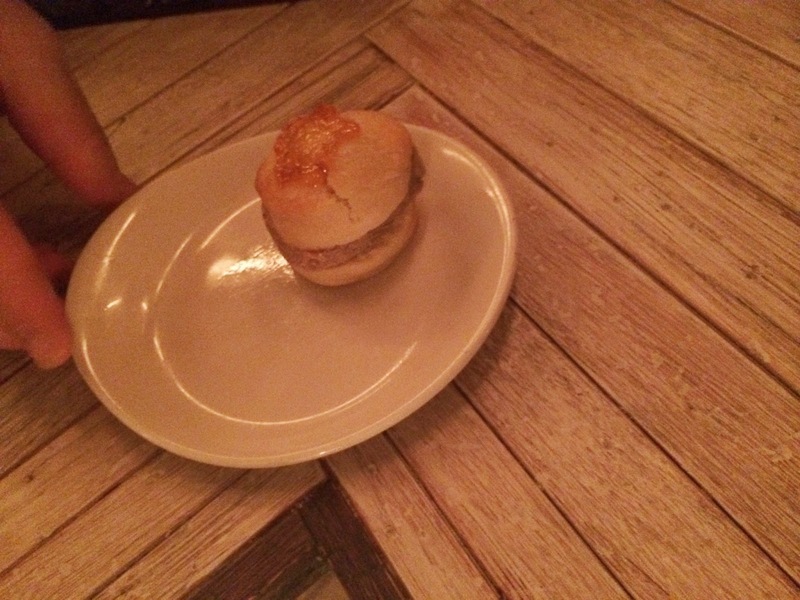 One bite of foie gras was totally unexpected. We ended up ordering some more stuff. 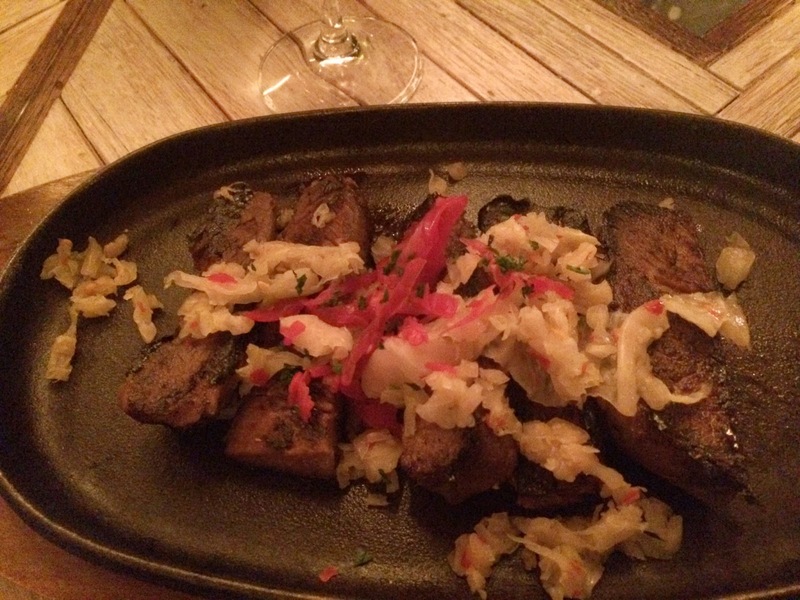 Grilled beef short rib with Kimchi-like fermented cabbage. A little on the dry side but very tasty. Cabbage had Kimchi flavor but not overwhelming like traditional Kimchi. Very well balanced. 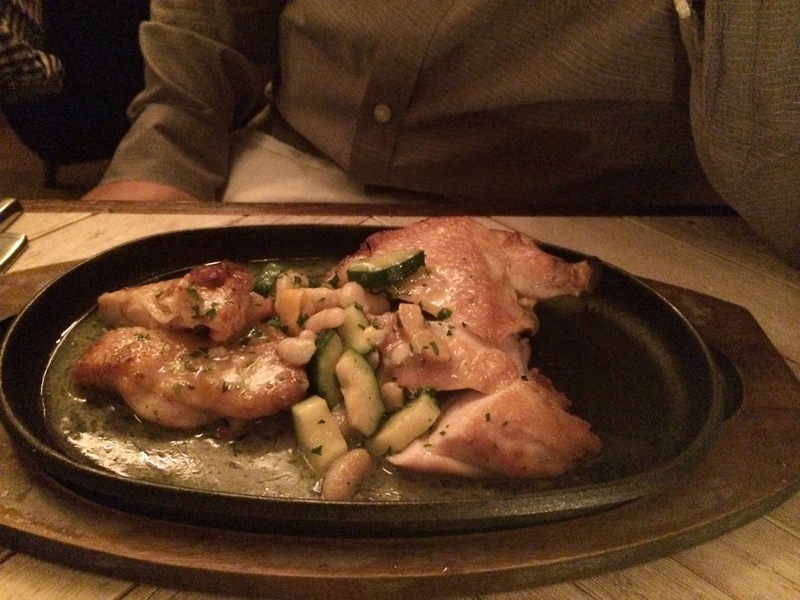 Half roasted catskill chicken. Super tender, almost creamy. We also ordered fries and red pepper spaetzle. Both very good. Super crispy fries, surprisingly plenty - given the portion of all the other menu items. Overall, GREAT choice MB! Food was lovely, though portion is a little on the smaller side. Service was pretty good. We loved urban barn like decor of the place and the casual atmosphere. 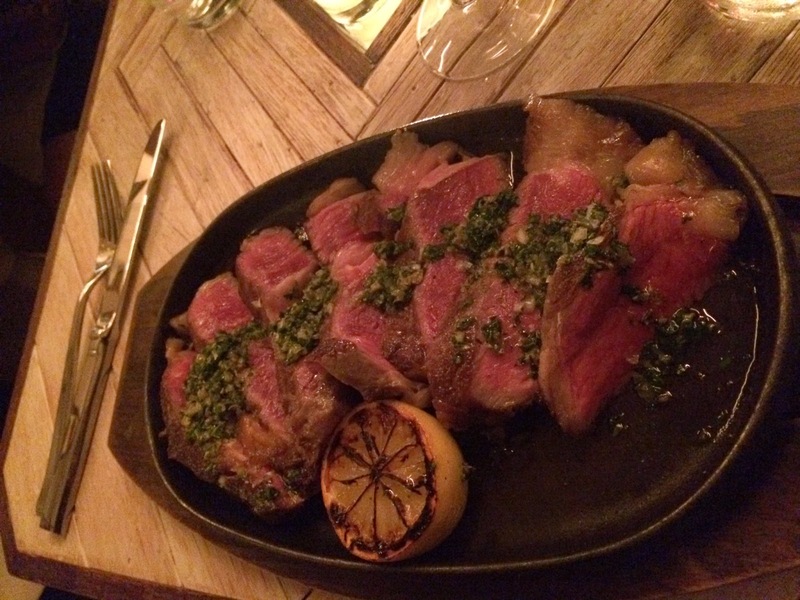 Farm to table type of place is always our favorite. Unlike Telepan upper west side, this place is more like a great spot for casual and laid back hang out with good friends. Downtown restaurants always have this different feel to it.